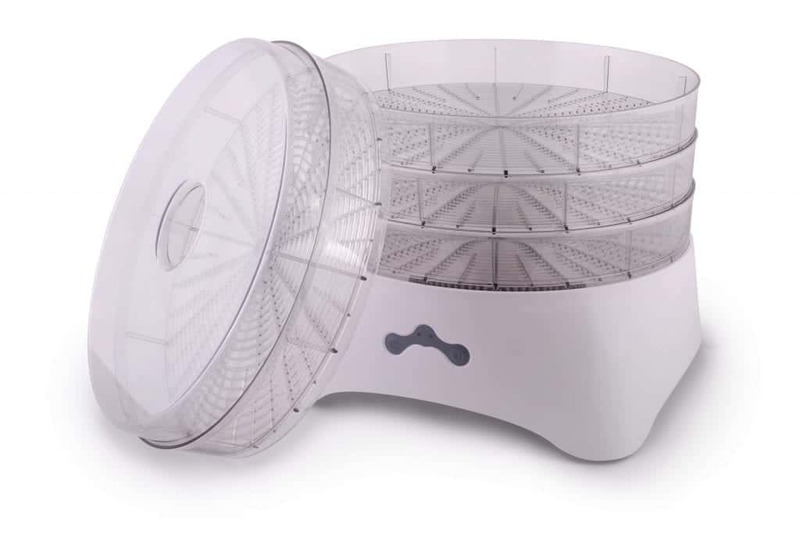 You may have seen an ad for a food dehydrator and started to wonder what it is. You may be interested in changing to a raw foods diet and saw people mention a food dehydrator as a good option to have in your kitchen. You may have lots of produce that don’t last well in the fridge, and you could be looking for ways to avoid waste. 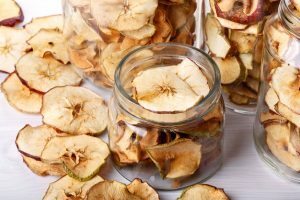 In all of these cases, you might wonder what exactly a food dehydrator is and if it could help you. 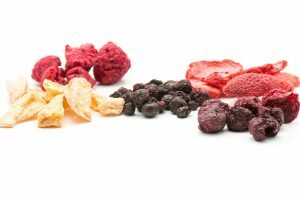 In this piece, we will help you understand what a food dehydrator is and how it can be used. 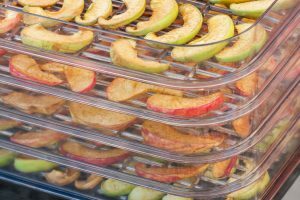 In the simplest of terms, a food dehydrator is a device that uses heat and airflow to dehydrate food. So it is a way of removing water or other excess moisture from food while keeping nutrients and enzymes intact. 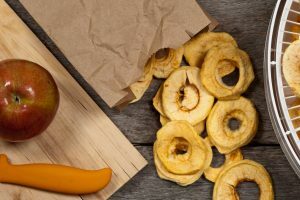 It is a way of preserving food that is thousands of years old; a food dehydrator is just a quick easy and convenient machine to make this process quicker and easier. By removing a lot of the moisture in food, it keeps bacteria in check and helps food not to spoil as quickly as it would without the dehydration. 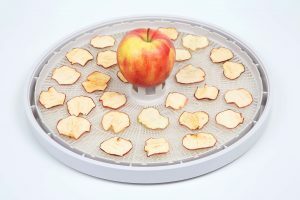 Food dehydrators come in many shapes and sizes, but they all have a few basics in common. 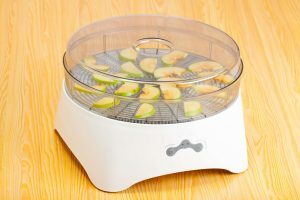 There are different kinds of dehydrators available for you to buy. Some are even environmentally friendly and use solar power to generate the heat and electricity they need for the drying process. Most of the food dehydrators available, whether for home or business use, work on the same basic principles just with different setups. All food dehydrators have a container with trays for the food, a fan, and a heating element. The fan and heating element work together to effectively remove moisture from food while keeping the nutrients you need from healthy food. 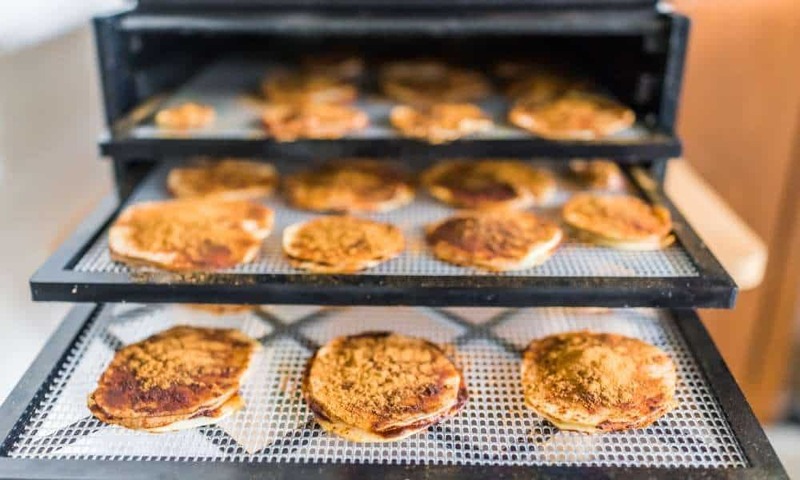 It is a slower process than cooking, and it usually works at temperatures around 130°F (54°C), but this varies with the type of food you want to dehydrate. The box or container will be vented because you want the moisture to escape while keeping the heat inside. Some models have automatic timers and variable temperature controls. 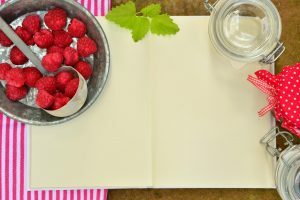 But even the most basic one will give you the great way to create easy, nutritious snacks that save you quite a bit of money. It is no wonder that this way of preserving food is thousands of years old. There are many types of food dehydrators available for you to buy, in every price range and capacity. Some small basic models have preset temperatures, and you decide on the time yourself. There are more professional models with digital systems settings and timers with larger capacities. 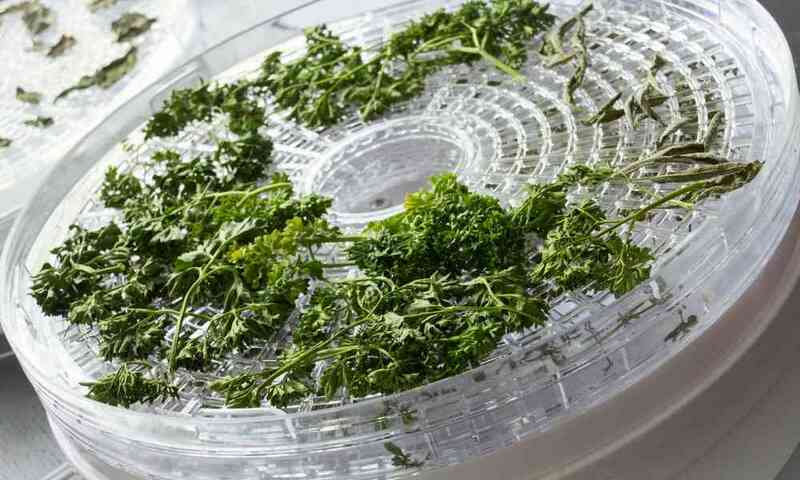 You can also spend quite a significant amount of money on a big professional dehydrator with up to twenty trays. Some have horizontal ventilation while others work horizontally. There is one to suit every need. But if you are on a really tight budget, making your own food dehydrator is also an option for the DIY enthusiasts. 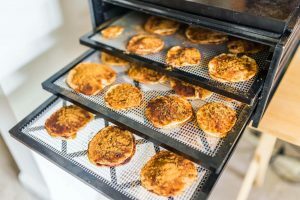 The key things to keep in mind with any dehydrator is that you need a high enough temperature with, but not too high that the food actually starts cooking. Other than the temperature, you need moving air, a vented container, and racks for the food. Then you just need the food you want to preserve or create snacks from. If you do want to make your own, you only need to be sure that you have a few basic things. First, you may need a heating source (heat lamps are the usual choice). The next thing you will need is a little ventilation (so a box with vents) at the very least, and if you are in a more humid area, some added fans. The box can be made of any durable material like wood or plastic (just keep a check on the temperature). Then you need a few porous racks (for good airflow). 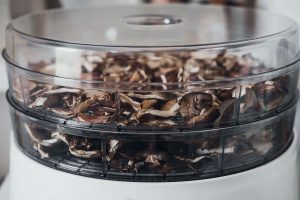 If this sounds like too much work, you can easily buy an entry level dehydrator to experiment with a few basic snacks, like dried fruit or beef jerky. There are many recipes that you can test out with even the most basic of these little kitchen helpers. In this piece, we looked at what exactly a food dehydrator is. It is one of the most basic and (ancient) ways of keeping food preserved, so you don’t need to freeze or refrigerate it while keeping nutrients intact. 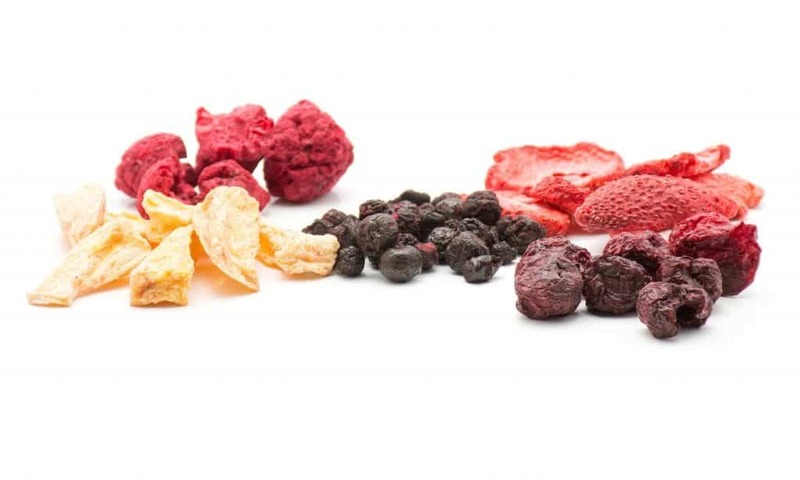 These days there are electric appliances available, but the essence is still a little heat, a little airflow and time and then you will soon have dried fruit snacks, herbs, spices or beef jerky.